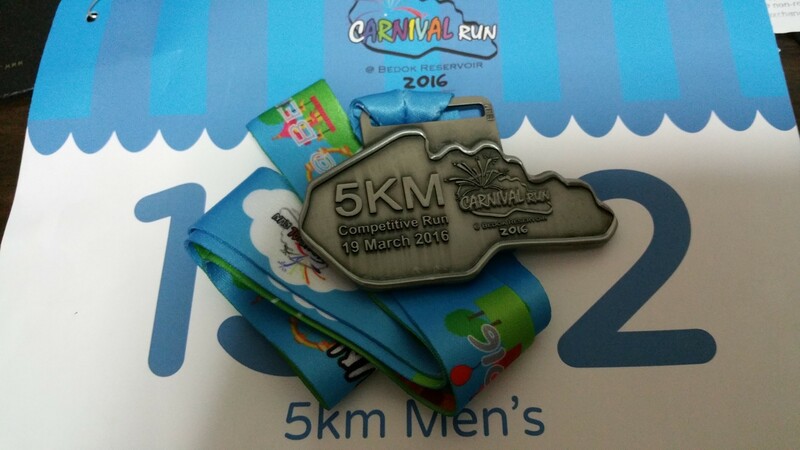 Race Review: Carnival Run 2016 [5 km] (by Kenjoe) | JustRunLah! 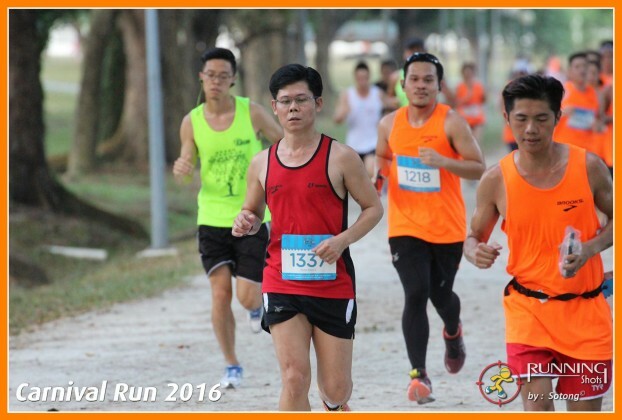 In the third week of Feb, my FB running kaki (SY) messaged me and I agreed to sign up for a 5 km race at Carnival Run 2016 on 19th March. 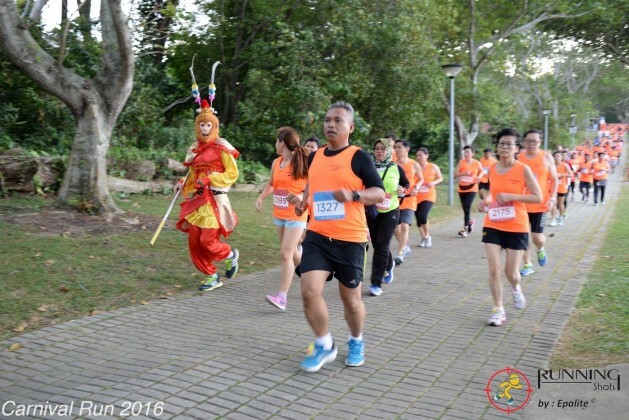 At that time, I knew I was supposed to be going for another 5 km fun race (Winter Run) the week after. But thought since 5 km was a shorter distance, it would be alright. And I would have two weeks after the Green Corridor Run (GCR), more than adequate time too to recover. (I had injured myself somewhat after the last couple of races or so.) Just as well, about a week after this, I was informed that the Winter Run was cancelled so I had this little distraction before I attempt my first real challenge of running two half marathons a week apart in April. And then after GCR on 6th Mar, I had a bad case of ITB and was getting a bit concerned about worsening it. I reduced my training frequency and took easier runs leading to it. 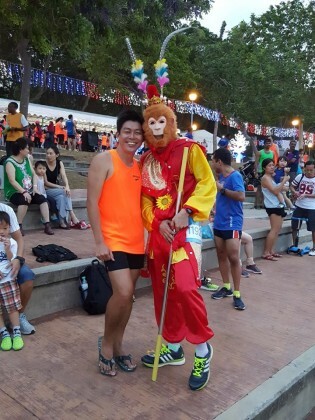 One good news was another running friend of mine (Francis, the friend whom I was supposed to start the Marina Half Marathon with – see my Marina Run Review blog) was also able to make it. 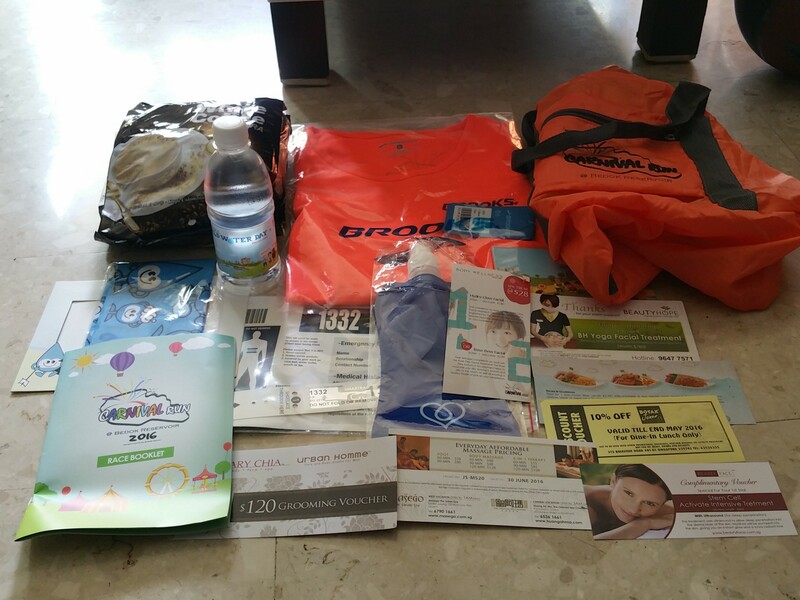 Collection of race pack day came and I went through without any hassle, less than 3 minutes. 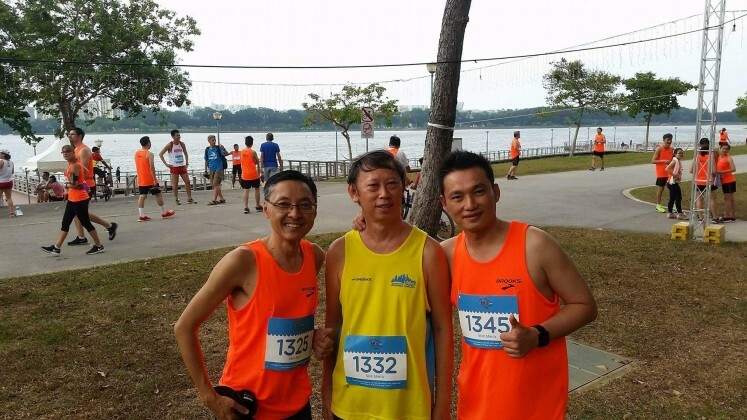 I looked forward to 19th Mar where the virtual trios would start off a race together. On Race Day, I drove down early to Bedok Reservoir Road, determined not to miss my friends at the start line this time. I took a short walk to the venue. I was early and so waited a few minutes and then saw Francis with his colleagues and their families. Soon SY arrived too with his son. 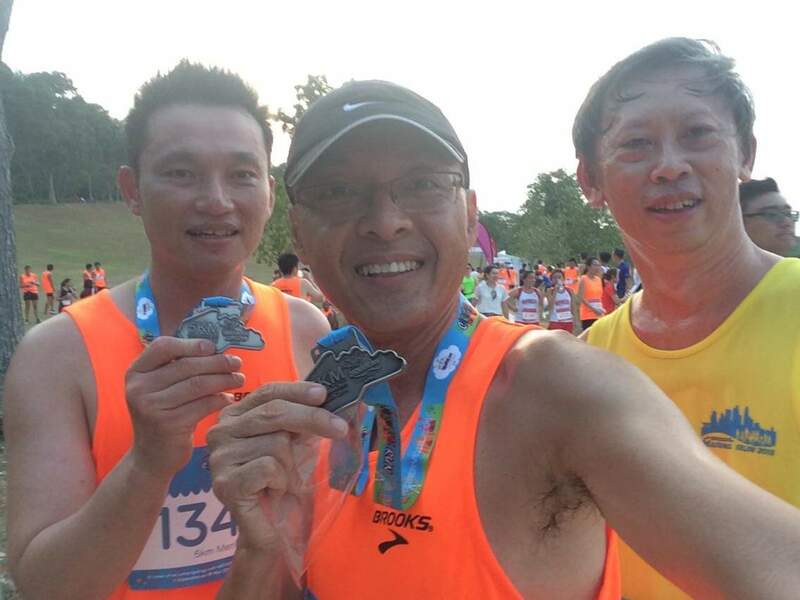 We took a wefie before the race and then agreed to meet again after the run. 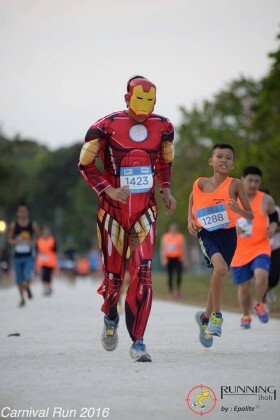 They were faster runners so I wasn’t going to be able to keep pace with them once the race started. We saw Lexus and his group of running friends too and other by now familiar running faces. 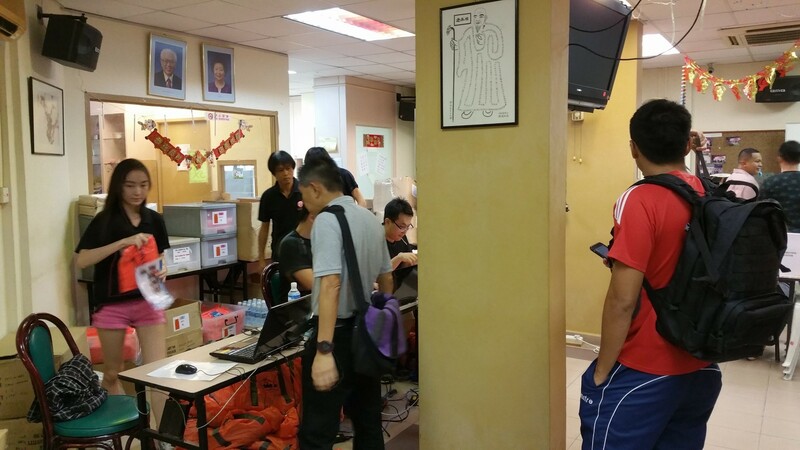 Soon, the race was flagged off. There was a slight detour up a slight slope and then round the reservoir and then back to the finishing line. I think I must have run at my fastest pace for this year on average. Still, I found the surface was a bit too sandy for my liking as my worn out shoes didn’t feel like they had a good grip each time my feet landed. Soon it was over and I was sweating profusely though I could feel a strong wind blowing most of the times. I believe there was at least one hydration point but didn’t really notice it as I was just trying to keep up my pace so that I wouldn’t be too far behind and let my friends wait. I completed in 31:28 so luckily my friends didn’t have to wait for more than 6 minutes. 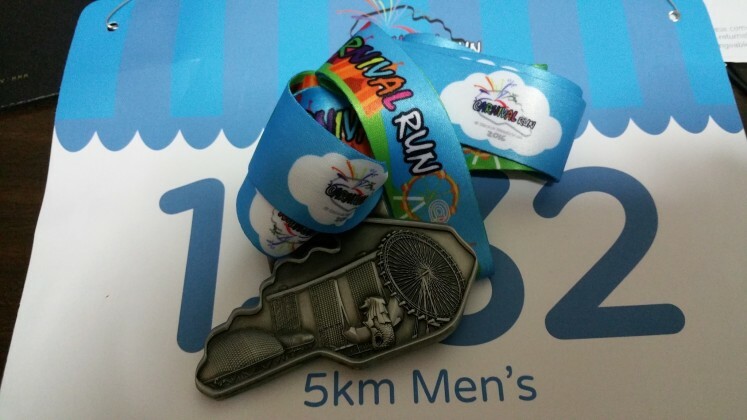 Still, it was not my PB as I managed 28:35 last year at my first 5 km race. 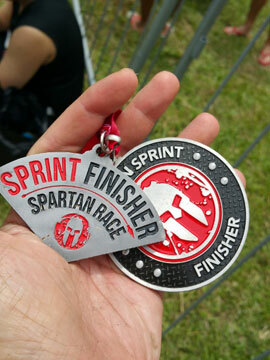 But I realized that my ITB didn’t recur nor do I feel any more sharp pain during or after the race. Another nice looking medal added to my collection and a chance for me to see the bigger group of JustRunLah elite team in action. I didn’t get to take pictures as I left my smartphone in my car this time. 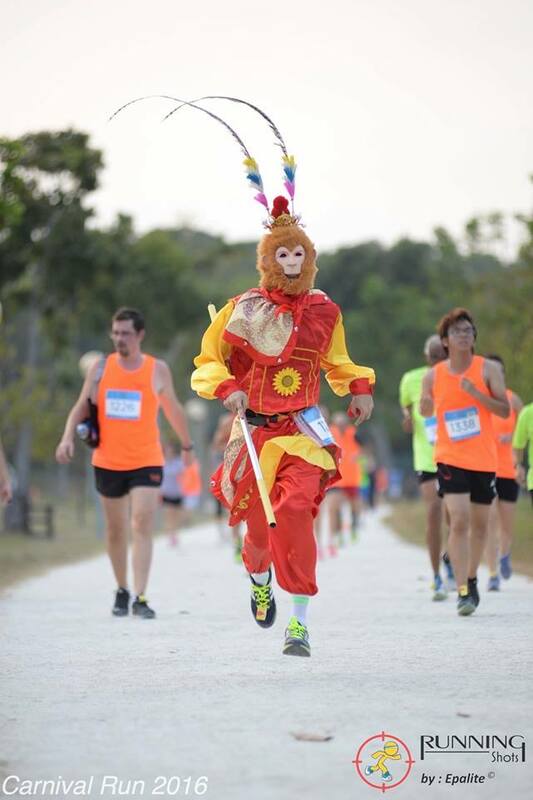 The photos are courtesy of my friends, the Carnival Run Photos itself and Running Shots. 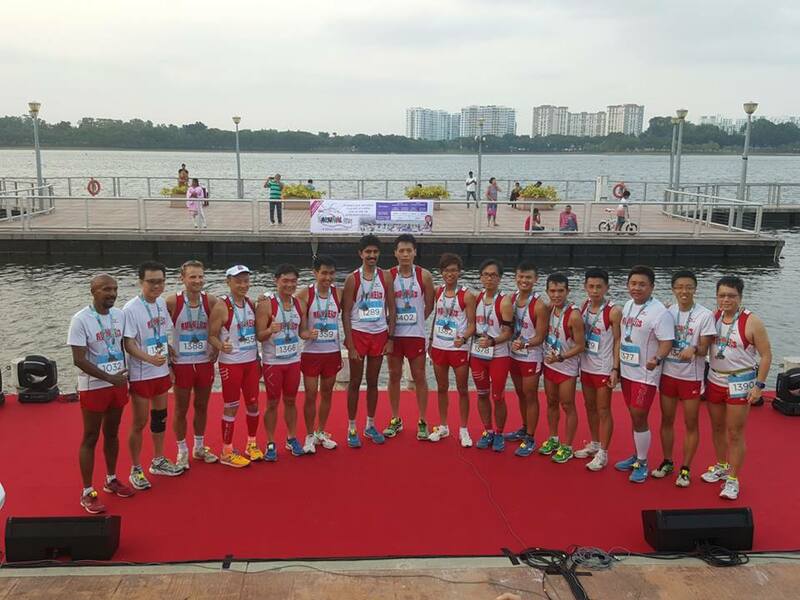 As one commented on the Run’s FB, the occasion was more like a group of friends gathering for a running party than a race. Chatted a bit more with my friends after the race, before we took leave, knowing that we would be meeting up again soon in another race. So SY finally also got to meet Francis in person this time round. 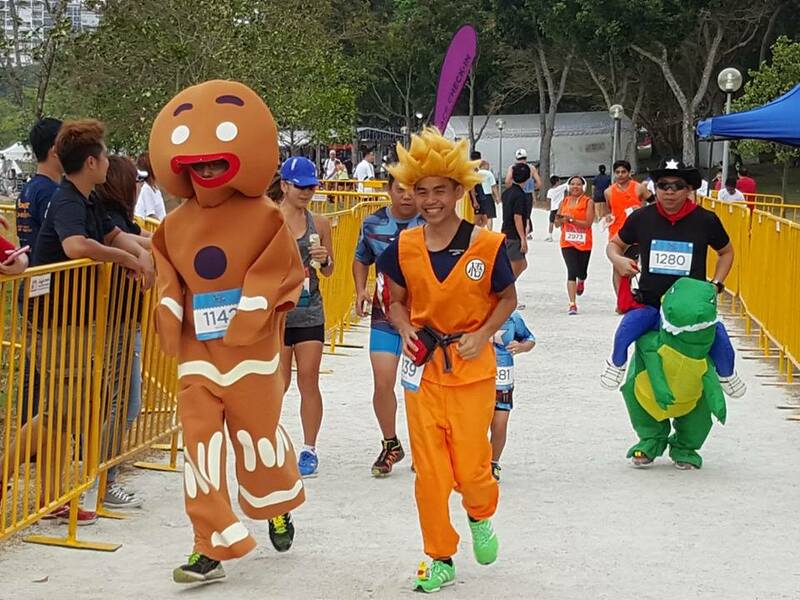 And there was quite a number of stalls with treats for the runners and families and subsequent interesting performances as befit a carnival into the night. Just that I was rushing back too to have dinner with the family and so missed the night of fun.